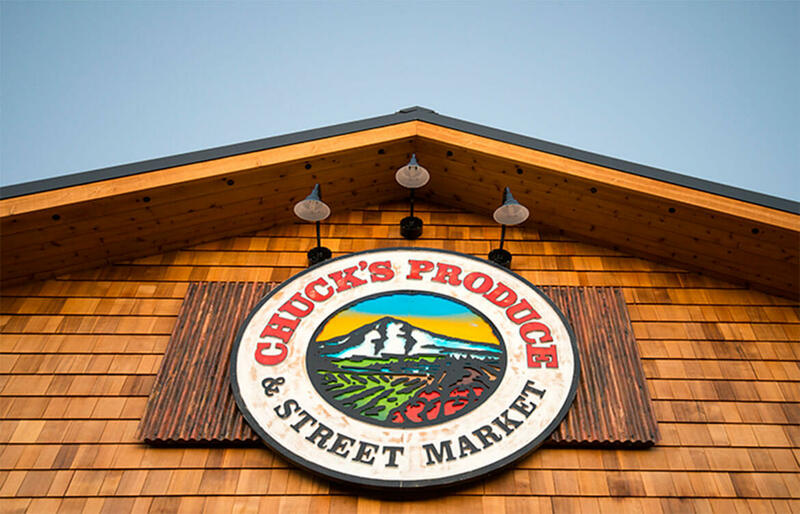 Completed in August of 2013, the Salmon Creek Chuck’s Produce & Street Market is Vancouver’s second location. Its rustic street market setting contributes to a shopping experience that is progressive, welcoming and most importantly–fun! As expressed in the overall vaulted forms, detailing and stage set features, the interior is an eclectic fusion of country barn, contemporary craftsman and retro with timber framing throughout. The exterior design is based on a country barn distilled to its most basic form. 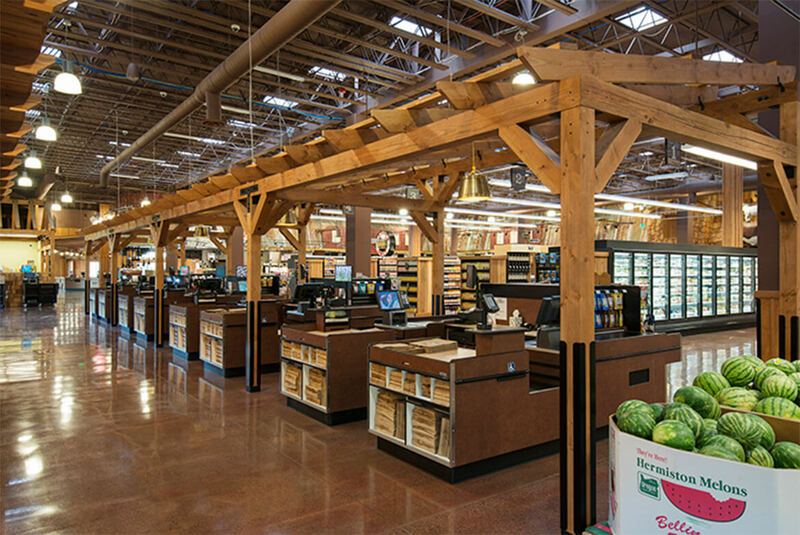 Together, these design elements signal fresh, organic and wholesome–qualities that speak directly to Chuck’s discerning and ingredient conscious shoppers. The new Chucks Produce is anchored by the community values of the original store. 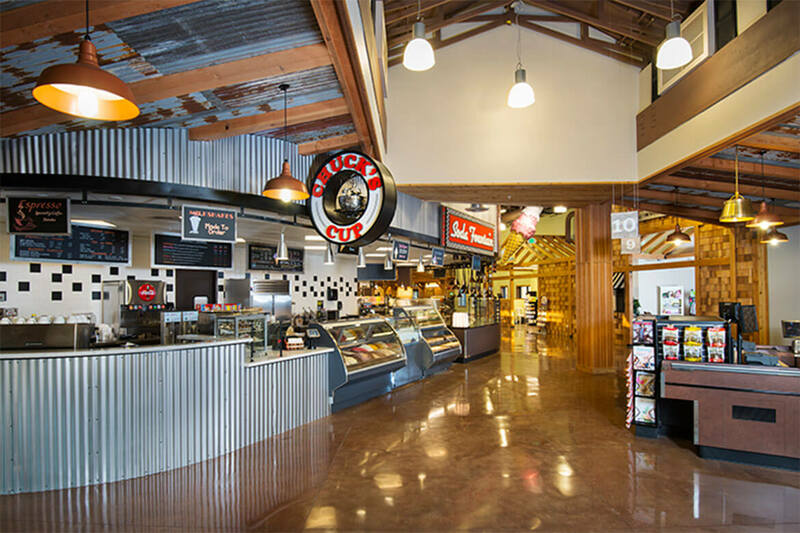 It is a locally inspired and owned store and builds upon a moving trend toward local, fresh, community based food sources. 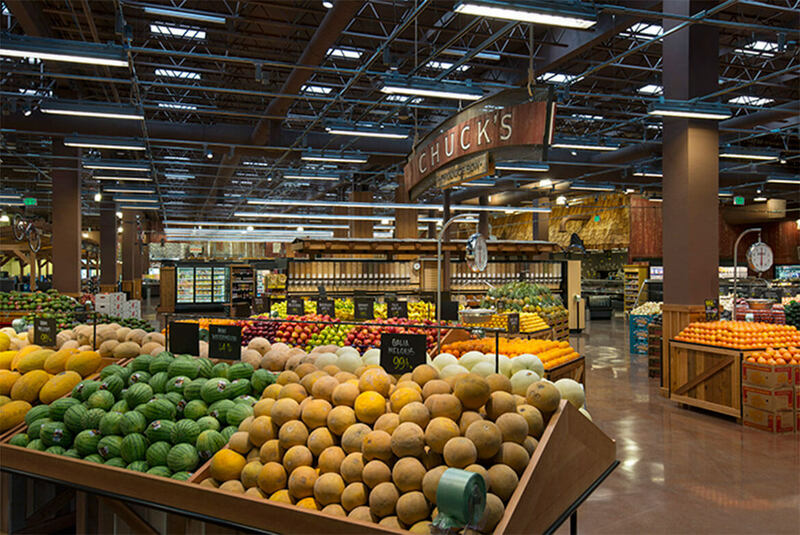 Energy efficient appliances combined with energy saving heating and cooling practices are part of the long term plan to control energy consumption in Chuck’s Produce stores. Features such as the daylight harvesting skylights and lighting control system contribute to the store’s energy efficiency while complimenting the street market theme with the use of natural light. 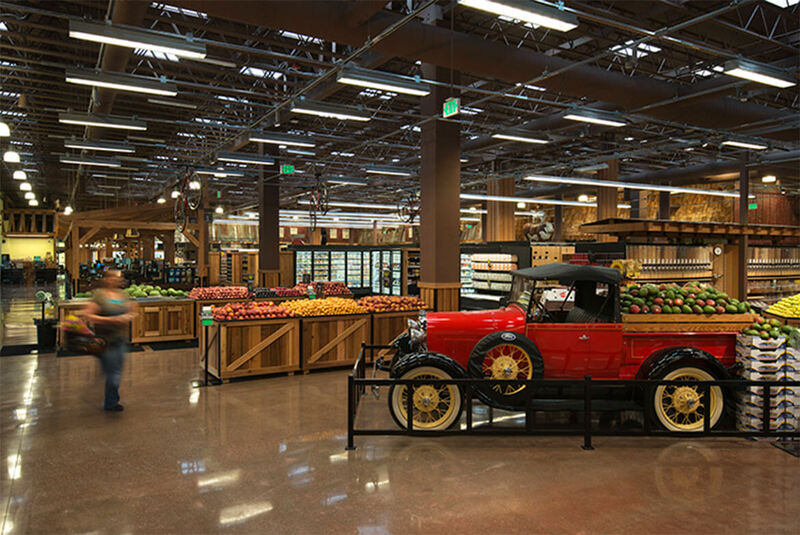 One of the first buildings built to the Highway 99 overlay standards for Clark County, Chuck’s Produce serves as a catalyst for future improvements to the area. 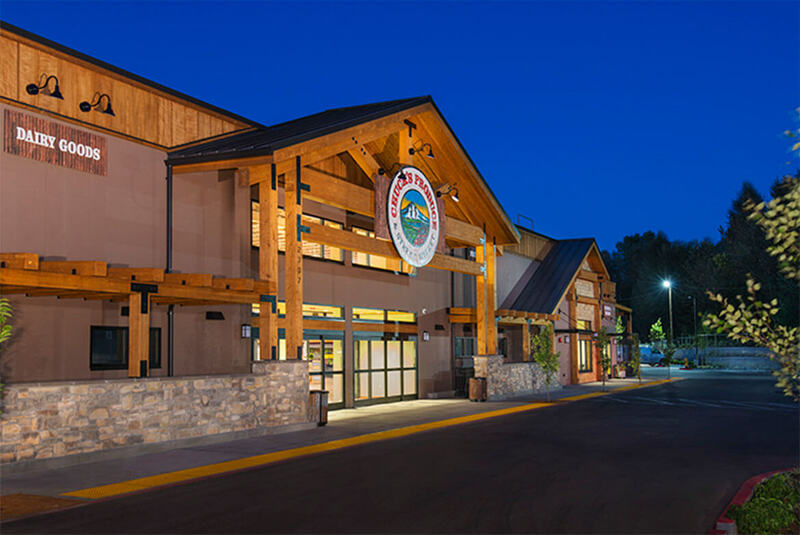 The design satisfies the goal of creating an active, pedestrian-oriented corridor with retail shopping facing Hwy. 99. 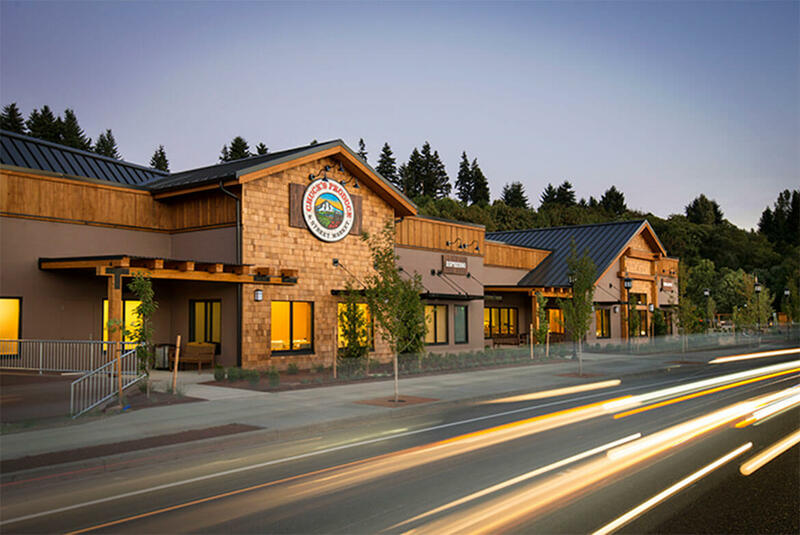 To enhance the overall appearance of the building while providing a more human scale to the exterior along the highway, dining area roofs have been stepped down which in turn creates more intimate interior spaces.